Matsui Seishin, a designer of SISE, recently posted a picture on his instagram with a caption that reads "always". 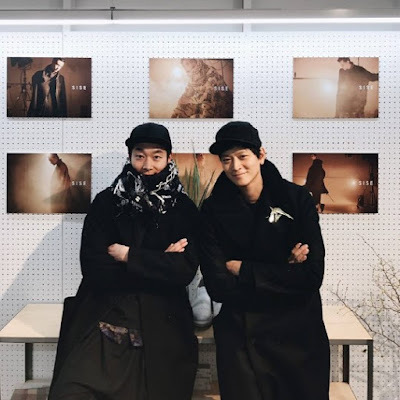 In the photograph, Kang Dong Won and Matsui Sei are in all black fashion side by side. The two people boasting a warm visual attracted the attention by showing the same fashion and pose, like twins. Meanwhile, Kang Dong Won is in the midst of filming 'Golden Slumber'. 'Golden Slumber' is an action thriller featuring the story of a courier framed and accused of trying to assassinate a presidential candidate, it's a remake of a 2010 Japanese movie based on Kotaro Isaeka's novel. In addition to Kang Dongwon there's Han Hyo Joo, Yoon Kye Sang, Kim Eui Sung and others.